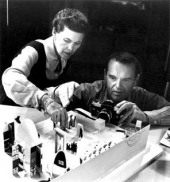 'Eames: The Architect and the Painter,' a documentary narrated by James Franco. Directed by Jason Cohn and Bill Jersey, from a screenplay by Cohn. 84 minutes. Not rated; suitable for mature audiences. Northwest Film Forum (Seattle), through Thursday, December 1st, 2011. Check your local listings to see show times near you. 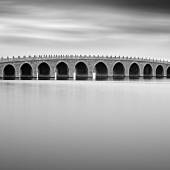 The most recent release of Grand Image’s Print on Demand (POD) line welcomes ReD Ognita to the stable.� ReD Ognita is an award-winning photographer, born in Philippines and currently living and working in Beijing, China.� Ognita’s images have a distinctive aesthetic inspired by the architecture of his environment in China–similar to Hiroshi Sugimoto’s ‘Seascapes’ and the quite contemplative nature of a Mark Rothko painting.